When I read about No Buy July over at Almost Posh I thought I would get on board and see whether I could go an entire month without buying any clothes, jewelry, accessories or shoes at all. I’m not going to lie and say it has been easy, and I have had to resist temptation many times. But when I decide to do something, I JUST DO IT, folks. Here are the things I likely would have bought, if not for No Buy July. This top is incredibly me. If you looked Snoskred up in the dictionary, there is a photo of this top. I mean, red leopard print, need I say more? The price was excellent, and it sold out before the end of the Cordelia St show. I did not buy it. 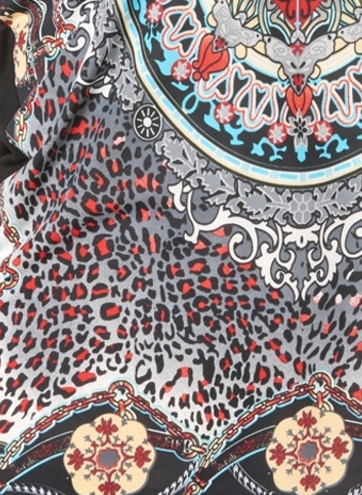 I had been eyeing off this similar top which is in clearance for a while now, waiting for the price to go down again, but it is sold out in my size.. Sometimes the Fashion Gods have other plans. 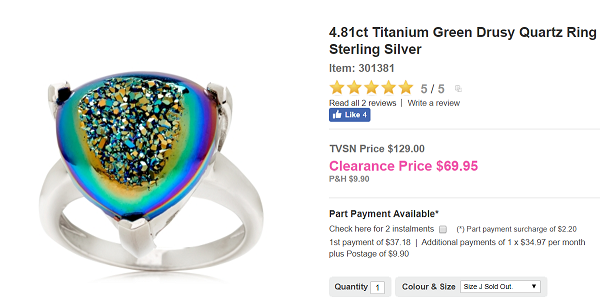 ;) If you want to check out TVSN clearance I recommend using the drop down box and choosing lowest to highest price. As a result of all my hard work weight loss wise, none of my rings fit me anymore. Even one that used to fit on my pinky finger only now does not fit on my largest finger. I will have to bite the bullet and get them resized soon. This ring tempts me because I love Drusy and it reminds me of my mystic topaz triangle ring. A huge temptation for me this month was the gorgeous jewelry of Katherine Kelly Lang. Yes, Brooke from The Bold and The Beautiful has a fashion and jewelry side business. Unfortunately I did not take any photos at the time and once it is sold out it is taken off the TVSN website, so here is a screenshot of a page from the July shoppers guide. I saw this denim jacket in person when passing by a Rockmans earlier in the month. It is definitely on my to-buy list, this colour is one of my favourites. And I could have had it for $20. But, NOPE. I need a pin like this for a multitude of reasons, mainly in order to close cardigans stylishly. This one from Noni B is now on my wishlist, I had been looking for a little while and not finding anything. Noni B also had a clearance sale and these tops had been on my want list for a while. I felt like $20 was good value. But they did not get ordered and shipped to me, because No Buy July. 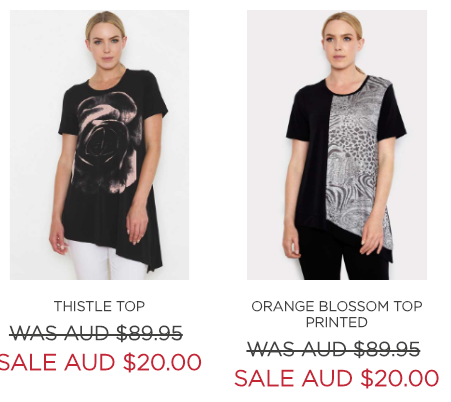 I also avoided my favourite little boutique in town which happened to be having a huge sale this month. I might head in to check out what is left over. I was tempted by socks at Costco but I was determined to stick it out and not buy them. Happy moments, I made it through the month of July without buying any clothes, jewelry, accessories or shoes. 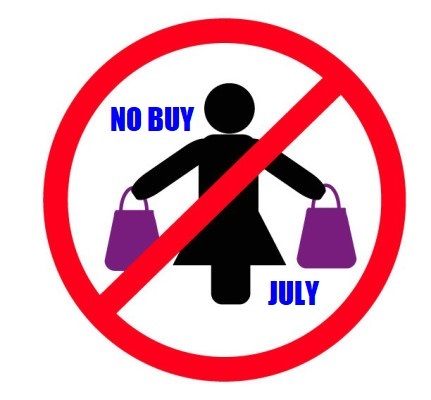 No Buy July always makes me laugh a bit. It just seems funny to me that people get proud of themselves for not buying any clothes etc during July. I sit here thinking to myself, do they really go out and buy clothes in every other month? Do they have wardrobes the size of a house? Please don’t think I’m picking on you or anything like that, it’s just that I care so little about clothes and/or fashion, I rarely buy anything at all, unless what I have is literally falling apart. 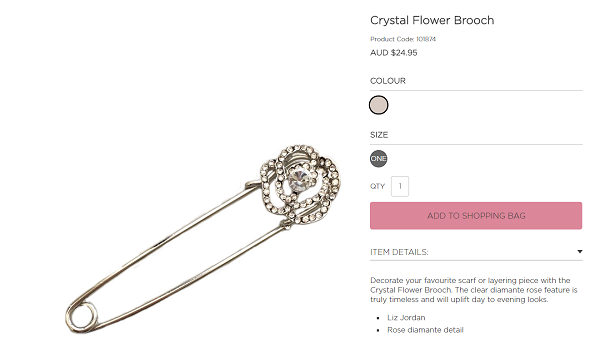 BUT, (there’s always a but), now I have to find Noni B and buy that crystal pin. I have a cardigan/scarf type thing that needs one of those to hold it closed. River – I just got done refreshing my wardrobe and for me I *deeply* needed No Buy July because I had just got to a place where I was buying too much – even though a lot of it was stuff I really needed and I had not bought new clothes in a very long time, in fact it had been nearly 4 years.. I was like you once years ago, not caring about fashion at all and only buying clothes when I needed them, and part of me is still like that, the around the house wear part. My around the house jumpers were several years old but they were still perfectly fine and wearable, just WAY too big now, some of them were size 22 which is 10 sizes too big. I don’t mind them that big around the house except this year has been exceptionally cold and I needed to replace them with things that fit properly. Two crew neck jumpers from Ghanda plus 3 pairs of fleece lined athletic leggings from TK Maxx have saved me from using the gas heater too much this winter, if not for them I would have been so cold. I just rotate them. Then I found my “style bone” and now I enjoy putting my going out outfits together, much to the horror and shock of my mother. I love getting a bargain so to me it is a bit of a challenge, waiting for the item I want to be on sale at the price I want to pay and hoping it is still in my size. I needed something to put a stop to my spending and this challenge did the trick nicely for me. I might try to keep it going for another month, but I badly want that pin from Noni B.. ;) It is funny because I had gone looking for exactly that thing back in June and failed to find it anywhere. But give me a month where I am banned from buying, and it pops up, just like that. So maybe No Buy September will be a thing. Right after I posted my comment I remembered you had lost a lot of weight and were replacing wardrobe items. Hope that pin is still available. Is TK Maxx online? My daughter had t-shirts with a Maxx label and I got them when she outgrew them, very comfortable they were, I tossed then a few weeks ago because they were now more holes than fabric. Well, I’m glad I missed this version of July. It’s a great month for clothing sales here. What’s next? No Lust August? I’m a huge fan of Almost Posh and I am so impressed that you stuck to your guns. It is however now August, so I hope you can still pick up some of your favourites. High five on your weight loss too. Hope August is awesome! I’m definitely going to get that pin from Noni B, and probably that green jacket, Sammie. I will wait on the ring, because I am bad like that, and it will end up sold out in my size. :) I might do no buy September, and maybe I will do one month on, one month off, for a bit. Hello there! Thank you so much for your visits and wonderful comments! Good gosh! Too late about July for me. Already bought stuff without knowing it was supposed to be a NO Buy month. And so many fun stuff you’re showing us too. Hello there yourself Kay! 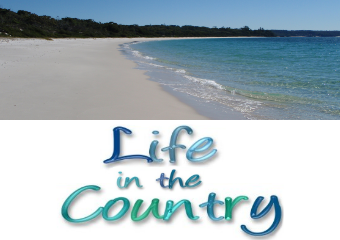 I have been enjoying your blog, thanks for dropping by mine! Thanks for the mention! You did much better than I did, failed early then it all fell in a heap towards the end. I hope you get to pick up some of the stuff you missed out on. I find it interesting when people roll their eyes at No Buy July and feel the need to tell you how little they buy. I’ve never watched an episode of Game of Thrones and yet some people are really into it. Different strokes, am I right?